Never in my wildest dreams as a young recording artist in the 70s, could I have ever imagined myself at age 63 still writing, recording and still making records. That’s where the path has taken me and I am so glad that I followed it. There is so much joy in creating music with just a guitar and an idea and after the re-writes and ultimate recording of the song, much like a birth of a child, finally gets it’s wings about nine months later and is shared with anyone who wants to let it in! Thank you all for following me on this wonderful musical journey and I will continue down this musical path as long as I still feel that euphoric fire burning in my heart. Thank you all for supporting me for a lifetime! I Wanna Hold Your Hand…………. “Beep Beep” was the first completed song for my new CD. My wife and I were visiting Bend, Oregon in June of 2014. We were staying in a hotel and I woke up very early and didn’t want to wake her so I put on headphones and turned on my computer. A few days earlier I had been working on a new idea starting off like most of my songs, with a guitar figure and then the rest just kind of came. I recorded the guitar and added a melody that came to me as I listened. Luckily, I saved it and added it to my music so I could access it while we were away from my studio in Los Angeles. As I listened to the music for some reason I thought about the Beatles and the first line came, “I got the fever back in 64, ain’t felt nothin’ like it since, nothin’ like it before” and the song just poured out. The whole reason I took such an interest in music at all was because I saw the Beatles on the Ed Sullivan Show and freaked out! I left for California three years later and three years after that, signed with Atlantic Records at age 18. They set the bar higher than it ever was before when it came to talent, songwriting, singing, recording techniques and just about everything else they did. To this day, I use their double time percussion technique to change a song section’s feel and learned all about writing a bridge from listening to their awesome records. “They changed the world ‘cos we were all listening! !” I was so lucky to have grown up listening to this incredible band that launched so many other great bands and did indeed change the world forever. Oh, oh A oh, where does all the money go? Where does all the money go??? I don’t know this math but, I bend over while I plead! Buy a house, rent a yacht, give it everything you got! Oh, oh A oh, where did all the money go? Where did all the money go??? Oh, oh A oh, where did my honey go? My wife Melanie and I got married on a mountainside in 1973 at beautiful Big Bear Lake, California. Our honeymoon was in a rustic cabin at the time was only $12.00 a night. After that trip, we often took trips to the lake to fish and just relax. Even after our twin sons were born, we often took them up there, rented boats, hiked and just had a fabulous time every time we went. We really loved the place although you could see signs of change with gaudy out of place “Beverly Hills” like homes being built right on the lake limiting access to the public but it was still a special place for us. We stopped visiting the lake for maybe 20 years as we were busy with kids, careers and little league but two years ago, Melanie and I decided to go up there for our 40th anniversary so I planned the trip. Needless to say, the cabins went from 1973 rates of under 20 dollars a night to well over 200 a night but we didn’t care. We loved it there and wanted to revisit where we tied the knot so long ago. We had to pay for the room at a rental office in Big Bear. That’s where we would pay and pick up the keys for that special cabin we loved so much. The rental person informed me that in addition to the outrageous price of the rustic cabin, there would be a booking fee that I believe was around $75.00. I questioned why a booking fee when we were already paying so much and their answer was, “Well everybody else does it up here.” What was I gonna do? We were already there and I didn’t want to wreck the romantic getaway so I agreed. Excitedly we went to our cabin and immediately saw that it was indeed exactly the way it was in the 70s except it cost 10 times as much. What the hell, again we just sucked it up and settled in. As it started to get dark we flipped on the lights but they kept going out and the only way to get them to come back on was to bang on the wall. Who cares, we will be sleeping when it’s dark so who needed lights anyway? The next day we wanted to take our boat onto the lake but we found out that we need to buy a “lake use” permit for the days we planned on using it. OK, OK, we paid and then went to the launch ramp where we found out that there was a “launching” fee that we had to pay before we could launch and that we also had to buy a special “Big Bear” trolling flag in addition to getting the boat inspected. “All these extra fees, will be the death of me”. My head was spinning but at long last it was finally time to launch. It was a beautiful day and we were off. After an hour on the lake, the clouds started to build up and before we knew it we were in a lightning storm. We got off the lake as soon as we could and unfortunately, the storms lasted the rest of the day and of course there were no rain checks! This went on for two more days and finally we had had enough and wanted to get the hell out of there never to come back. I am surprised we didn’t have to pay a “check out” fee and “leave the mountain” fee. So that trip got the ball rolling on this song so hopefully it will help pay for that disastrous trip!! As mentioned above, my wife and I have been married nearly 43 years which can only mean we love each other and we are getting older! I was just thinking about Melanie who will be turning 65 on her next birthday which seems impossible!! Although we are both in our 60s, we still feel young at heart and that’s where the first line came from, “Headed toward highway 65, she don’t act her age”. A couple cannot survive 43 years without knowing what the other half needs to feel complete in a relationship. I feel that this is the foundation of our relationship so the song pretty much wrote itself. And that’s what I’ll remember……. This song just kind of wrote itself right after our first visit to Bend, Oregon in of June 2014. For a few years Melanie and I were looking for a place to move in the near future that felt like we belonged there, just like we have felt here in Southern California most of our lives. We had once considered San Diego, Big Bear Lake, Canyon Lake, Utah or someplace that offered the beauty we had grown accustomed to living here all our lives but some place that we could be fishing at a pristine lake or stream within minutes of where we lived because we love fishing!!! There was something special about the Bend area that felt different from all the other places we had considered. It was a full day’s drive from our home in West Hills but it felt like another world to us. It felt like a place we could call home. “It feels like home, no matter where I go, it feels like home, just like long ago, When California dreamin’, meant everything to me, oh but somethin’ out there’s screamin’ that this is what we need and it feels like home.” As much as we have loved our life and time in California, if all goes well, by the time this CD is out, we will be living in Oregon ‘cos it feels like home! Wants to stick it to you! Please don’t go what’s come over your soul? We go where the songs take us and it’s always an adventure. As much as I loved the Beatles, I loved much of John Lennon’s early solo stuff equally as much. It was so honest a guttural and it was derived from 50s and 60s rock. I had this line “Please don’t go, baby please don’t go”, knowing there was a song similar to that from the 60s but I really couldn’t make any other line work so that’s what it was. My great friend Bill Batstone helped me write this and it was so much fun to “Rock Out” on the acoustic! This is not your grandpa’s folk that’s for sure!! When I was recording the baritone acoustic guitar solo which was four passes of the same solo, my son Matt came running into the studio and said, “Dad, that’s really heavy!” which was of the highest compliments from a 30 year old!! He was actually impressed by something I was recording shockingly enough!! So turn it up and Rock Acoustically Hard!! As music editor on my college newspaper in 1971, I reviewed hundreds of albums, many not so kindly. However, a few exceptions crossed my desk, one being a debut album by Batdorf & Rodney titled Off the Shelf. In a day and age of such burgeoning folk rock acts as America, Loggins & Messina, and Seals & Croft, my bar was set high for newcomers. The album, on Atlantic Records, was a pleasant surprise with well-written tunes and intricate vocal harmonies, with the two acoustic guitarists joined by an all-star cast at the Muscle Shoals Studio, including drummer Ronnie Hawkins, guitarist Dean Parks, and keyboardist Barry Beckett. Batdorf readily admits the enormous influence of the Beatles when alluding to his clever Beatles-flavored arrangement on the title track “Beep Beep,” with the laudatory lyrics: “I got the fever back in ’64, ain’t felt nothin’ like it since, nothin’ like it before” followed by “Where Does All the Money Go,” reminiscent of a Paul McCartney post-Beatles flavored tune, highlighted by Chad Watson’s nifty melodic bass figures, right out of the McCartney playbook. As much as Batdorf’s alluring soulful voice captures the listener from start to finish, traversing through pop, country, folk, and rock flavored tunes, the contributing musicians shine throughout, led by Michael Dowdle’s burning lead guitar lines on rockers “Feels Like Home” and “What’s a Guy to Do,” and his tasteful mandolin phrases on “Never Forget” and “Where Does All the Money Go.” Dave Pearlman’s lap and pedal steel playing covers the gambit, from raw blues riffs to cry-in-your-beer melodic fills. Some perfectly placed background vocals, provided by Gary Falcone, Batstone, and Arlene and Bill Kole, add to multi-layered tracks that never get in the way of each other. 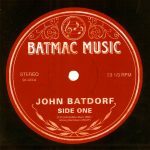 Batdorf also engineered and mixed the entire album, knowing just what balance of sound his arrangements called for. 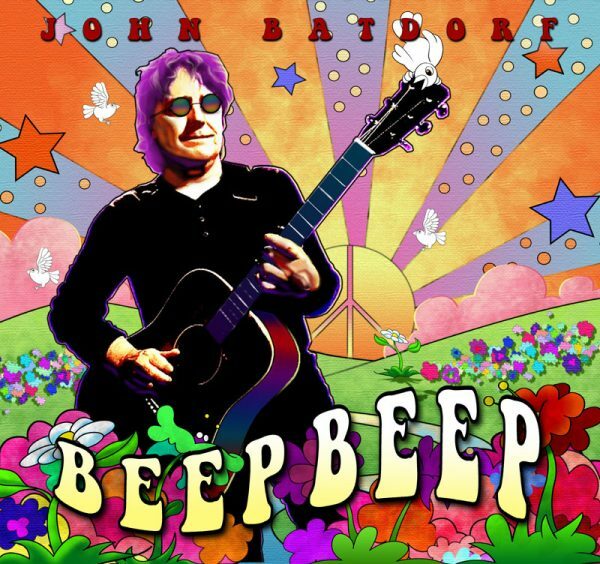 Beep Beep is quite a pleasant listen, sparked by Batdorf’s songwriting, arranging, and storytelling skills; he may not be a household name like Jackson Browne, Bruce Springsteen, or Roger McGuinn, but he’s right on par with any of them.